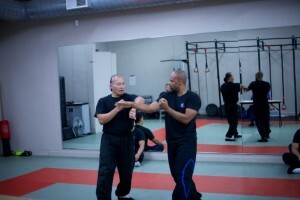 I started my Wing Tsun training when I was 46 years old. I was hesitant and a little embarassed to go to my first class. 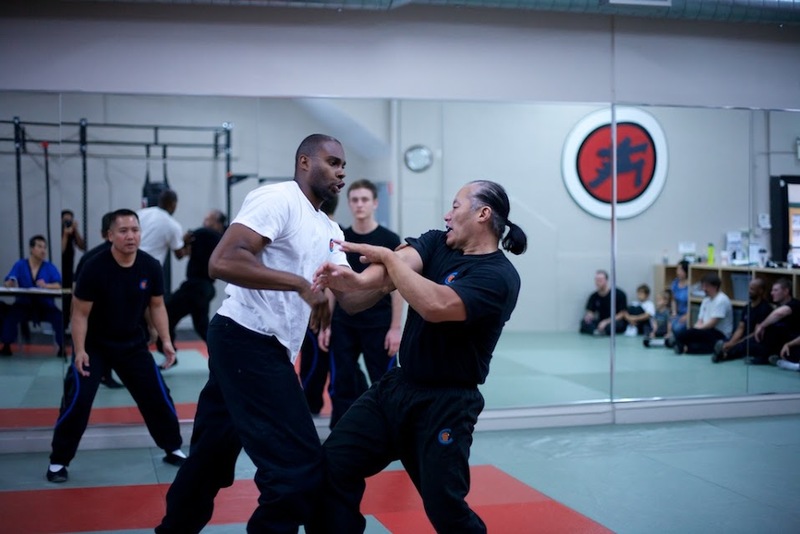 I have always wanted to learn Kung Fu, but I never had the opportunity to train when I was younger. I still remember the first class I attended. 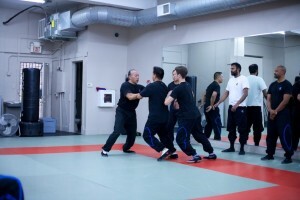 All I did was stand in Character Two and kept chain punching during the entire class. I saw all of these younger students perfom free Chi Sau and I didn’t know if I will ever get to that point in my training. 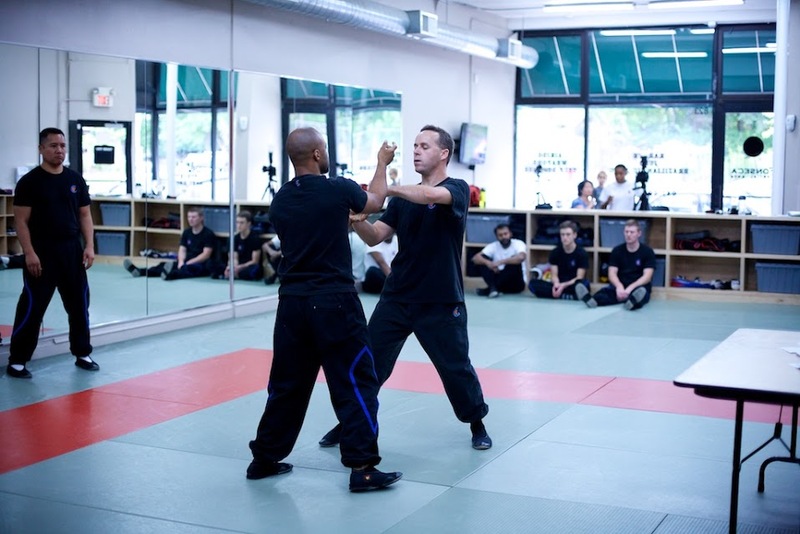 After class, I thought about not coming back because there was too much to learn and I thought that I was too old to start training in Wing Tsun. 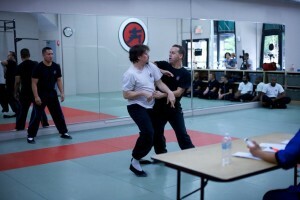 Eventually, I convinced myself that if I really wanted to learn, I should take that first step in my Wing Tsun journey. 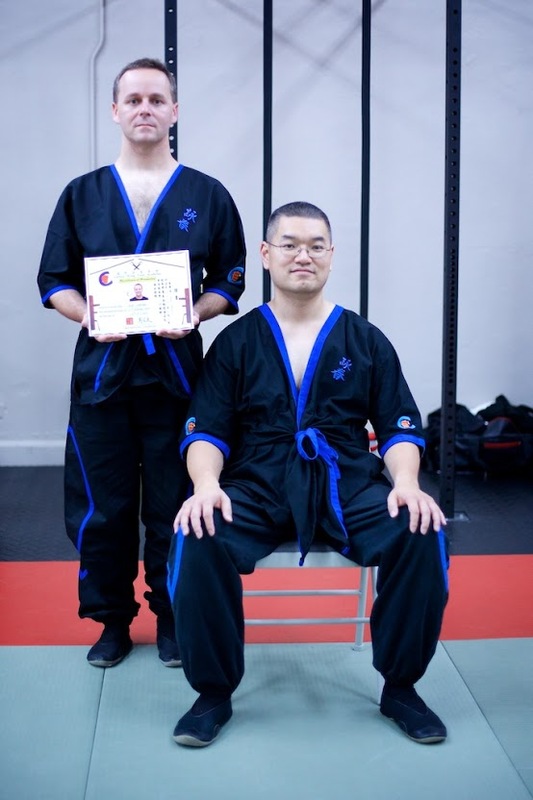 After ten years and several hundreds of thousands of steps, I have received my 1st Instructor Grade certificate from Carson Wing Tsun Academy on 06Oct2013. 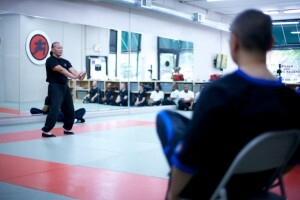 Testing for my 1st Instructor Grade level at 56 years old was a difficult task. 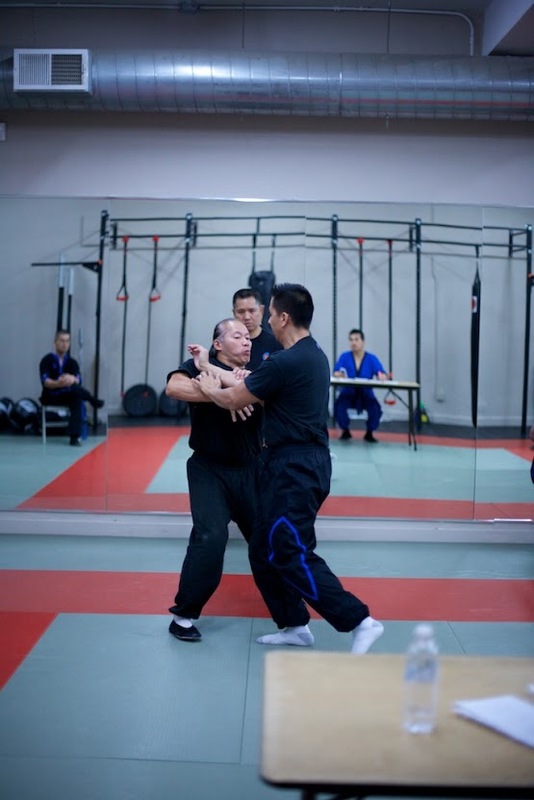 I constantly trained my forms (Siu Nim Tao and Chum Kiu), Chi Sau sections (1 to 3), and application of the Chi Sau section movements during Lat Sau (sparring) in preparation for the test. 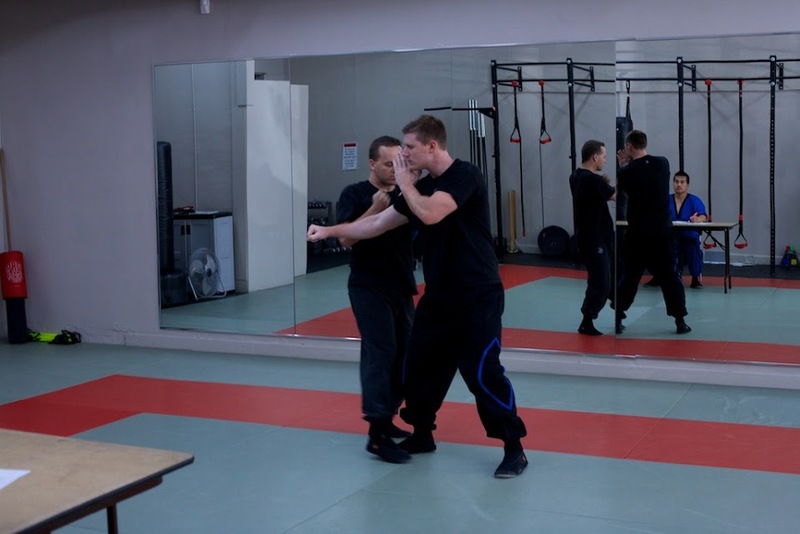 In addition, I needed to work on my conditioning since I needed to have the endurance and stamina to go through 3 rounds of random punches, 3 rounds of WT vs. WT, 3 rounds of WT vs. Non-WT, and 3 rounds of multiple opponent (2 vs. 1) sparring. There were moments during the test when I thought that I couldn’t continue, but I dug deep and with the cheers from my SiHings and SiDais I kept moving forward and completed the test. 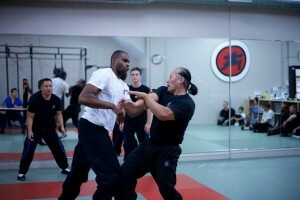 I would like to thank SiGung Carson Lau for coming to Chicago to test me for my 1st Instructor Grade level. It really means a lot to me that I received my 1st Instructor Grade level certificate from SiGung Lau. 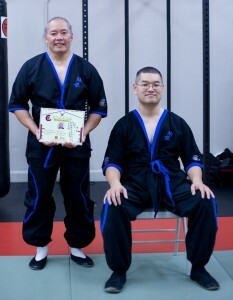 I especially like to thank SiFu Steve Chan for his support and guidance since YR2009. 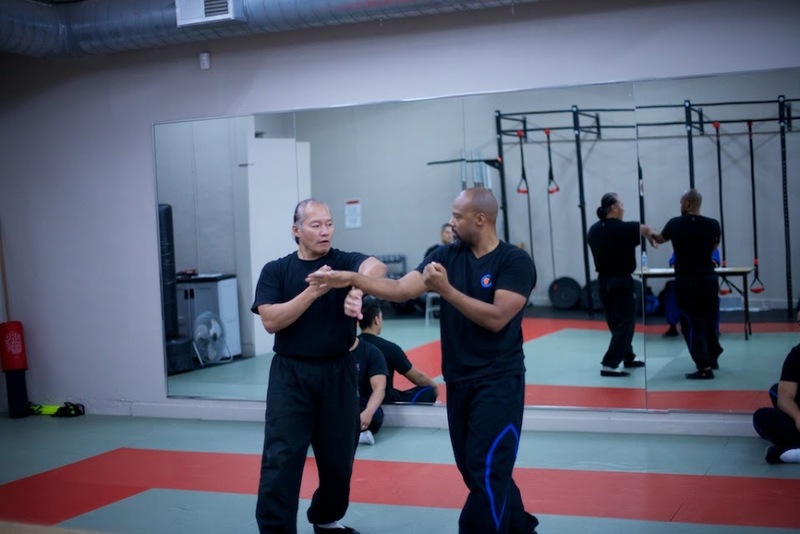 SiFu Steve helped me rebuild my Wing Tsun foundation and pushed me to keep getting better. I also want to thank my SiHings and SiDais for their support throughout the years. 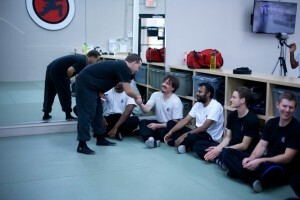 I wouldn’t be where I am without all of these people being part of my Wing Tsun journey. 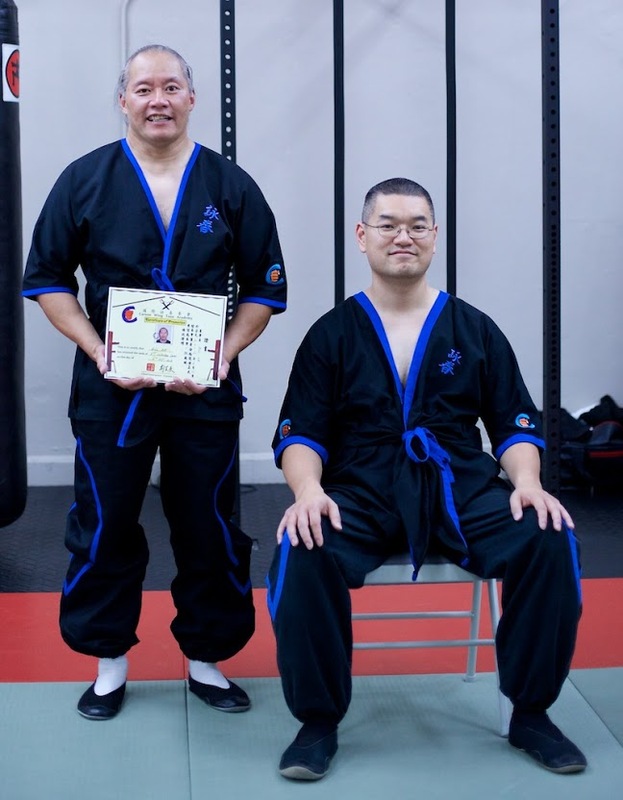 First technician is such a milestone that once I got to 10th student level my training became focused on getting ready for that test. Passing 11th and 12th student programs was almost an afterthought; something that happened as part of getting ready for primary. In a sense, all of the student level tests are small steps toward first technician, but by the last two I barely noticed them. 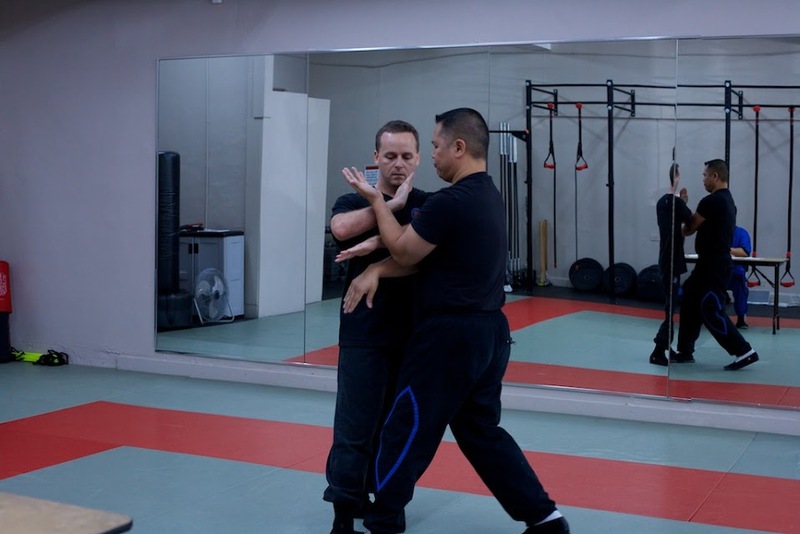 I was fortunate that another Wing Tsun class opened up in my area; I could take an extra class each week taught by instructors who had taken their primary test recently. In the final few weeks, my training shifted into fine tuning and avoiding injury. 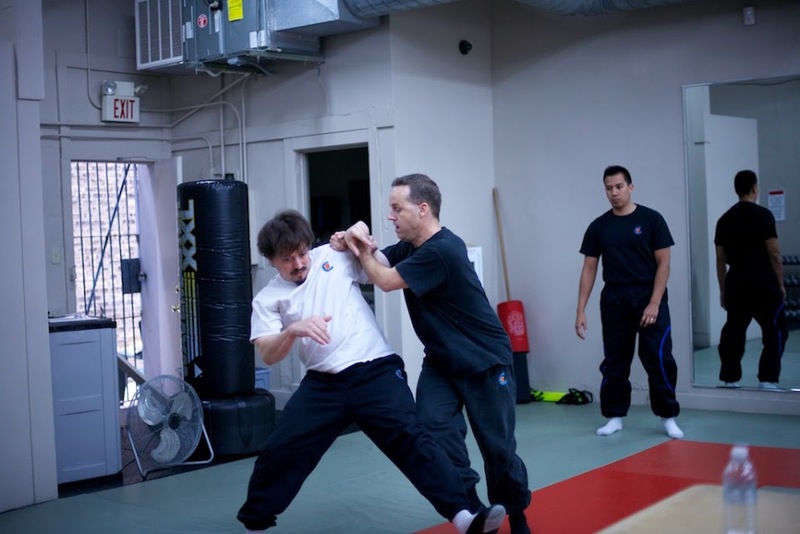 Injuries are not so easy to avoid though, as I took an elbow in the nose during light chi-sao sparring, and cracked a bone in my hand hitting a heavy bag. I had only seen the end of one of these tests previously. That day I was a volunteer for another’s multiple opponent sparring section. The details of what to expect were unknown, and the other technicians had different perspectives and experiences to share. Two forms, three chi-sao sections, and sparring against one and two opponents was all I needed to know. 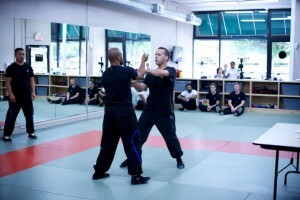 The forms didn’t worry me; I’ve done them hundreds, if not thousands of times over the course of my training. 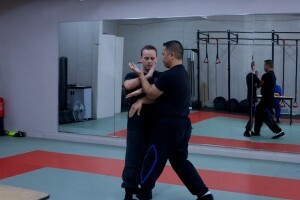 I was also confident in my chi-sao sections, though I had less opportunity to practice them. 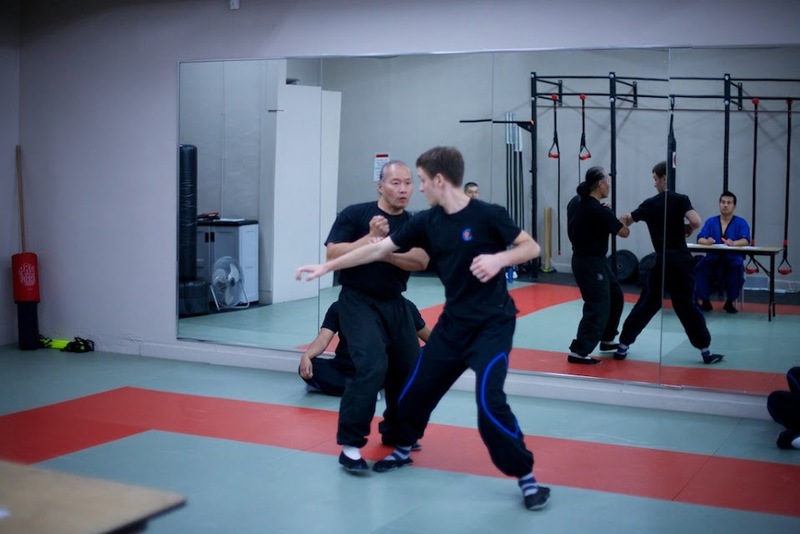 The biggest challenges that I saw were chi-sao sparring and free sparring, and being able to apply the sections, third section in particular, in those situations. I’m pretty sure I was less nervous on the day of my wedding than when I stood before Sigung at the start of my test. I hadn’t had an exam this important or with this much lead-up since my last finals at U.C. Berkeley seventeen years ago. 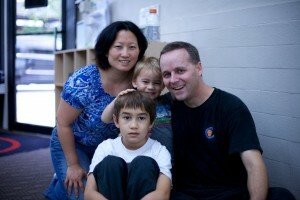 And not only was there pressure to pass from my instructors and peers, but I had my wife and children were watching too. Having the test after four hours of class was good; I’d rather be a little tired but warmed up than starting off cold, and my sparring opponents had been through the class as well. 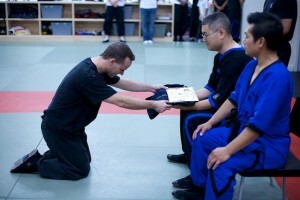 I was called up first, and Sigung thoughts were unreadable as I worked through my forms and chi-sao. 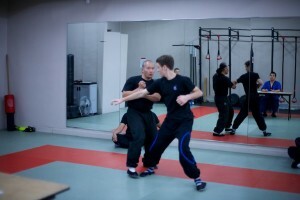 I remember being glad that my chi-sao forms partner was someone I’d practiced with, and was predictable in his movements. 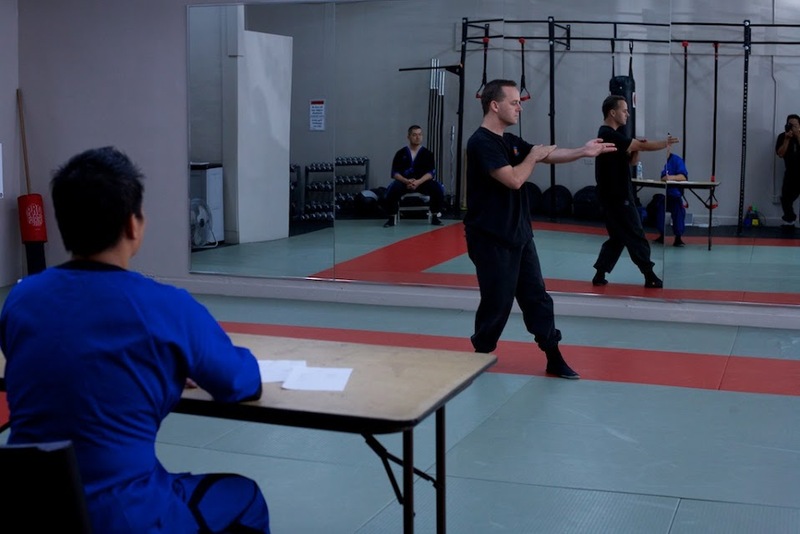 It’s funny that the part of the exam that caused me the most anxiety is also the part I have almost no memory of: the chi-sao sparring. There are the pictures, which helped to fill these memory gaps, but all I really remember is reminding myself to breathe. 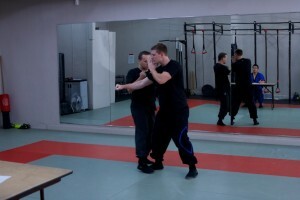 My test continued uninterrupted into the outside attacker section. 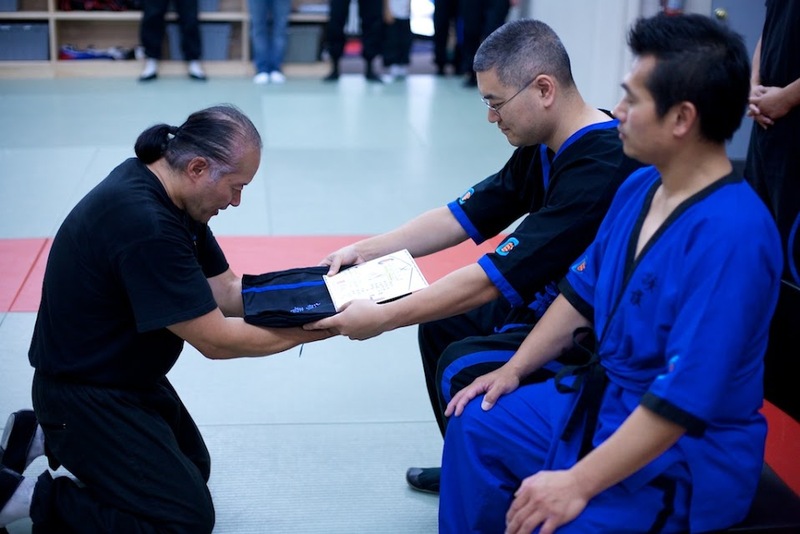 I was shaking with nervousness during my chi-sao sections, and my arms felt heavy and my head light. 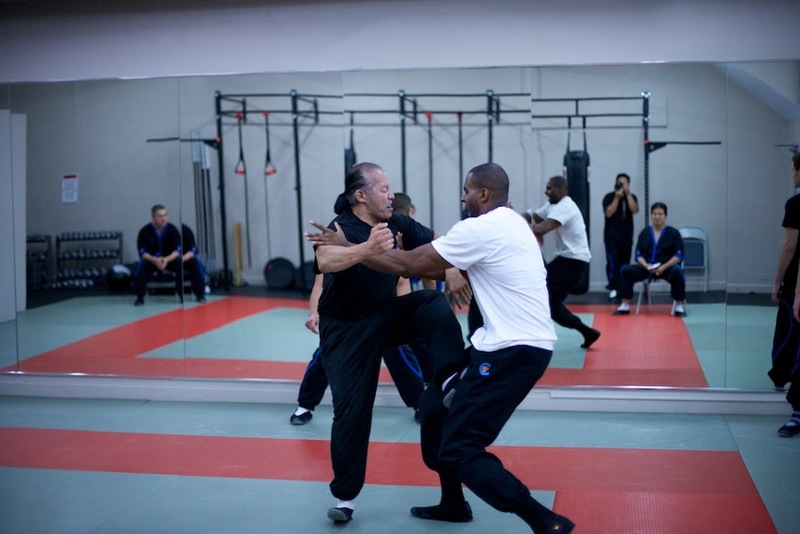 I was fortunate my opponent was another I’ve trained with often, and one whose style I knew how to attack. In my mind I had envisioned how I’d defeat my opponents, but it was blank as I turned to face my real opponent. I was aware of my “brothers” around me, the unreadable Sigung making notes, the photographer, and my youngest squawking in the audience. Without a plan, I fell back on the most basic of the WT ideas: when the way is clear, go forward. 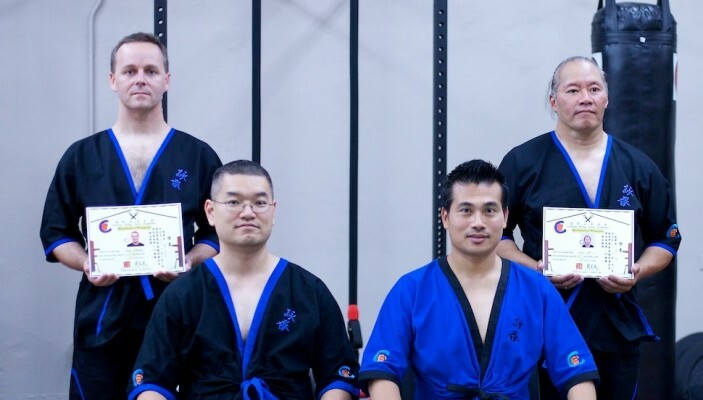 I finally got a break between my single and multiple opponent sections while one of my peers went through the first phase of his test. My oldest son, who also studies the art, sat with me. I was tired, but relieved that I hadn’t embarrassed myself on the “easy” part of the test. I was acutely aware of the pain in my hand and that I twisted my ankle. Just in time for multiple opponent sparring! It wasn’t until the last part of the test that I felt relaxed. I had my second wind, and was ready. 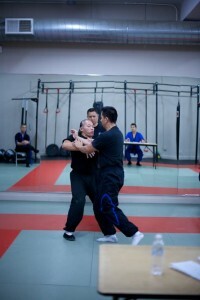 And at last I was standing before Sigung, to see if I demonstrated what it took to be a first technician. First technician isn’t an end, but a new beginning, an entry into an exclusive group of dedicated martial artists.